Here is a sweet card I made using the True Love stamp set. True Love is Close To My Heart's Operation Smile stamp for the year, where they donate $7 USD to Operation Smile from each purchase of this stamp set. And what a sweet stamp set it is!!! Operation Smile is a non-profit organization that provides surgeries to repair cleft lips and palates in children. The cost per surgery is $240 USD, so every little bit helps! 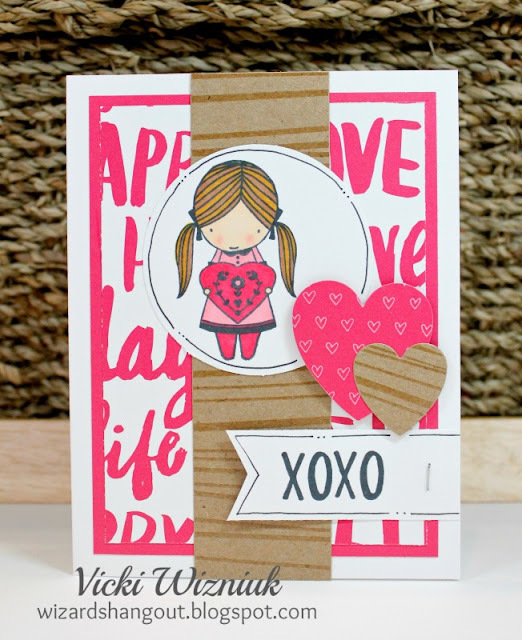 This is another wonderful card that uses that True Love stamp set - I think I'll never get tired of it! Great work, Vicki!